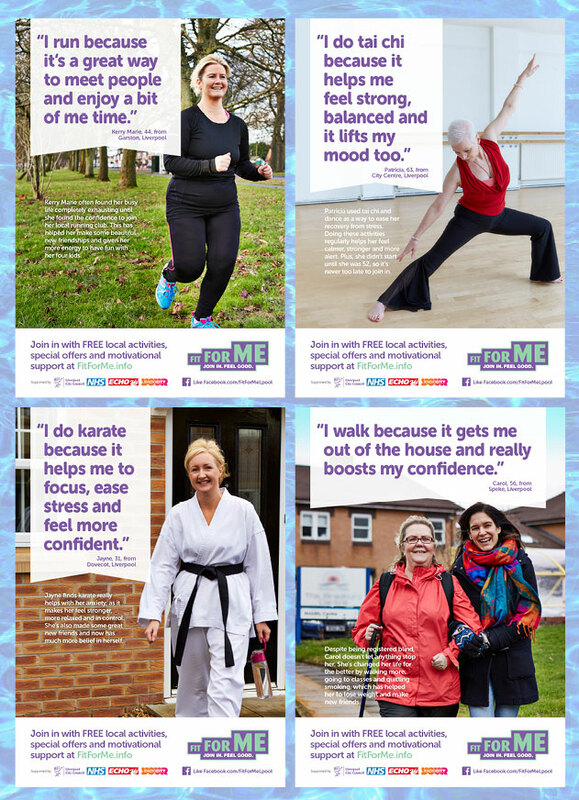 Following the incredible success of Fit For Me, Liverpool City Council commissioned us to expand on the existing campaign by sharing the stories of an even wider range of local people that have benefitted from being more active in the city. Working with Liverpool’s richly diverse community made this a joy and allowed us to effectively engage with all kinds of demographics. From outdoor swimmers and karate black belts to people with long-term conditions and beginner runners, our campaign is inclusive to everyone. We wanted to show that it doesn’t matter what size, shape, age or level you are, we can all benefit from getting out there and being more active. Just like the first group of brand ambassadors, the stars of these ads are real people from Liverpool, who have a true and honest tale to tell about the way activity has changed their life for the better. Over the years we’ve become experts at getting great performances out of real people like this. It’s a challenge at times, but it’s one we relish because it’s so rewarding to see everyday people have so much fun taking part and sharing their unique stories! 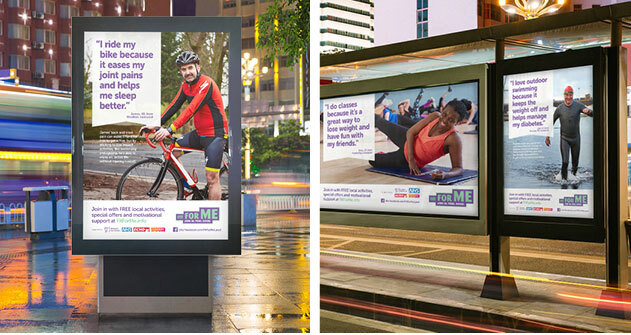 The second phase of ambassadors gave the Fit For Me campaign a real shot in the arm, boosting its presence in the city with a mixture of press, print, digital and social advertising. It was a pleasure working with everyone involved and we hope to see more and more people joining in and feeling good.